When Errázuriz Panquehue first appeared on the scene, one of Robert Parker’s coups de coeur, we had to tell readers how to pronounce Panquehue (Pan-kay-way). Soon the cumbersome double name was dropped in favour of Viña Errázuriz. I shivered while visiting the Aconcacua estate, along with Andrew Jefford, on my first trip to Chile in June 1994. Andrew had to wear ski-ing glove inners just to hold a pen. 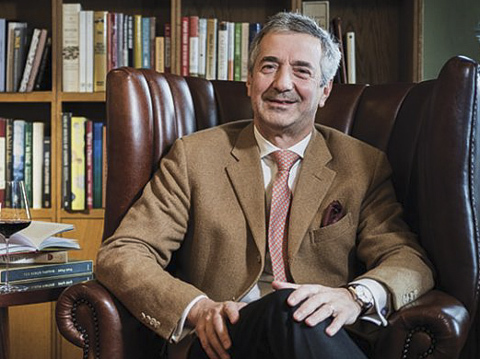 Little could we know then that 24 years on, Eduardo Chadwick would be crowned Decanter Man of the Year, the first and only Chilean to achieve such an accolade. Mind you, Eduardo’s ambition and pursuit of excellence, inherited from his father, were already in evidence and he was bursting with great plans for Errázuriz and Chile. This was the year before he and Robert Mondavi created Chile's first international joint venture in Seña, a blend of Cabernet Sauvignon, Carmenère, Merlot, Cabernet Franc and Petit Verdot from a hillside property on the western side of the Aconcagua Valley. A decade later, The Berlin Room was created at the estate to commemorate the incredible achievement of the tasting in Berlin in 2004. Frustrated by a feeling that his top wines weren’t getting the recognition they deserved, Eduardo pitted Seña and Viñedo Chadwick, blind, against First Growth Bordeaux and Super Tuscans. On the 23rd of January 2004, 36 of Europe's top wine professionals placed the 2000 Viñedo Chadwick and 2001 Seña above 2000 Châteaux Lafite, 2001 Margaux and 2000 Latour, along with Tignanello, Sassicaia and Solaia. It was Chile’s Judgment of Paris moment. More recently, in 2011 in Hong Kong, Taipei and Seoul, Seña’s first vertical tasting tour in Asia marked another milestone for Chadwick. Seña took all five top spots in HK and in Taipei while in Seoul, Seña took first and second place. Eduardo Chadwick is a Who-Dares-Wins kind of man. On Ojos del Salado, the highest active volcano in the world, with a bottle of Seña, carried in his breast pocket, Action Man records how, while climbing the ladder to the summit, cramp nearly got the better of him and he feared for his life and that of his bottle. As in all things, he got to the top. It took his UK trade partner, Hatch Mansfield’s Patrick McGrath MW, to take some of the air out of his Formula One tyres in a speech at the Decanter Man of the Year dinner at London’s Lanesborough Hotel on Thursday. McGrath told us how he was forced to sleep in the cold outside the hut during the climb to escape the terrifying roar emanating from the Great Man’s nostrils. The most visible manifestations of his achievements, Seña and Viñedo Chadwick were the highlights of the evening. As good as Seña is, it was the incredibly classy 2000 Viñedo Chadwick that stole that show on the night. Fittingly, this wine springs from a vineyard that was once Eduardo Chadwick’s father, Alfonso’s, polo field on an old terrace of the Maipo River. 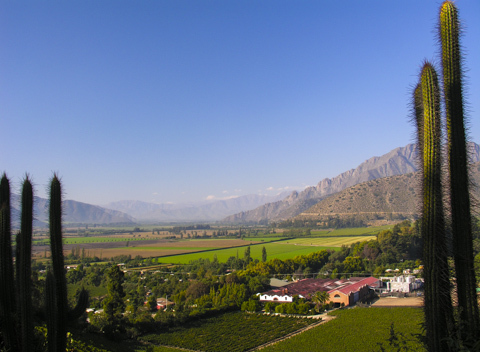 15 hectares were planted in 1992 to the usual Bordeaux suspects on the alluvial gravel of Puente Alto in the Alto Maipo Valley. A moderate Mediterranean climate at 650 metres above sea level contributes in the creation of a red that sits comfortably alongside any Bordeaux cru classé. It’s only natural that the accolades that come Eduardo Chadwick’s way are based on the wines that have put Chile on the fine wine map. But Don Maximiano, the Carmenère-based Kai and the new coastal Las Pizarras Chardonnay and Pinot Noir are also worthy of high praise. 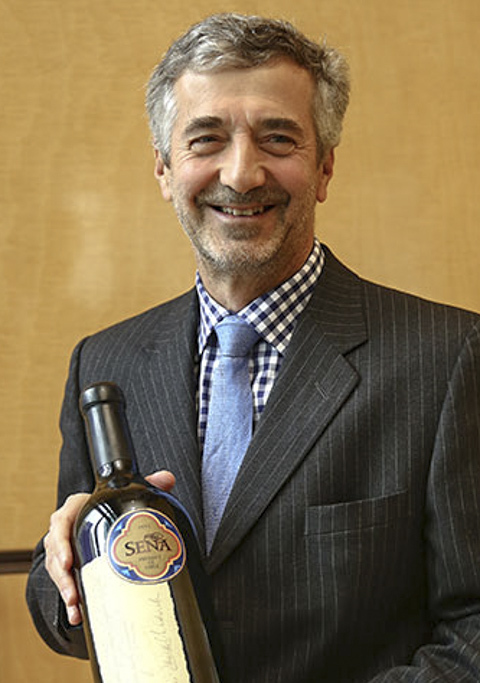 It’s even arguable that through hard work, renewal, experimentation, development and expansion, Eduardo, with his talented winemaker Francisco Baettig, has put together one of Chile’s most convincing ranges of affordable wines, including delicious varietal Sauvignon Blanc, Chardonnay, Merlot and Pinot Noir. It’s typical of the man that, as much as he’s achieved, new summits from which to pose, smiling, still beckon.